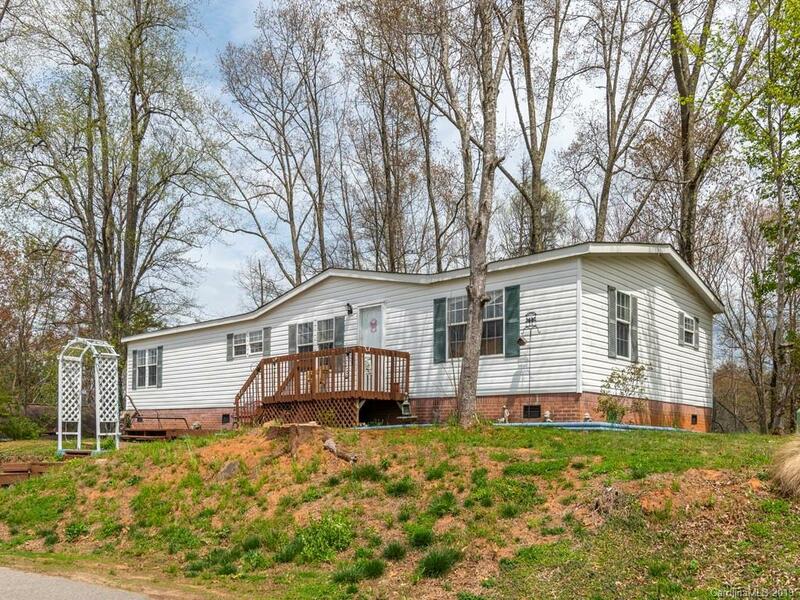 Beautiful front yard views, and sweet wooded privacy in backyard! Large front deck to watch the sunset. Inside: open floor plan. Woodburning fireplace in the living room, yet seen from the spacious kitchen.Breakfast bar and kitchen island. Open dining area. Split bedroom plan. Master suite consists of large walk-in closet, extra large master bath- garden soaking tub, separate shower, and his and her vanity. Laundry room leads to back door to partially fenced back yard stocked with firewood for new owner. Storage shed.